We know a gem when we see one, and that's exactly what Greg Ryan and his Qigong meditation is for Seeking Indigo and the community at large. The second Thursday of each month, Seeking Indigo offers Qigong meditation at 6:30pm. Next class: Thurs, April 14th. Can't make it? You'll definitely want to try a Qigong Massage with Greg. There is no better way to release any tension you're holding, and allow yourself to rest in pure peace. Enjoy our newest addition to the family by booking a session here. Bringing Qi Gong to Charleston helps fulfill our integral vision of offering the many healing modalities practiced across the globe .... all under one roof. At dawn on any given morning in China, you might see hundreds of people practicing qigong by themselves in the park. It's a lifestyle, and part of an every day regimen designed to relax your mind, body and spirit. Seeking Indigo's newest practitioner, Greg Ryan, hosts 1 hour of Qigong Moving Meditation on the second Thursday of each month. For a newbie like me, it was perfect - no rules, no pressure, no blood no sweat (okay a little sweat) no tears. Just an easy, first hand introduction to what traditional Chinese culture refers to as our life force - the qi. A Qigong session will leave you energized, completely recharged and alive like never before. I felt my body release the pain and tension it had been holding with ease. This was more subtle than exercise, but still active - you're not just moving the physical body but circulating your energies to give your system a chance to rebalance, so no part of you starves for energy. Qigong obviously resonated with me, but is hard to put into words. It's not to be intellectualized, unless you're ready and eager to dive head first into the subtle realms of quantum mechanics - but you can learn by simply showing up. Come for Qigong Moving Meditation on the second Thursday night of each month, and feel the qi for yourself. Ellen Watson, founder of Moving Ventures, invites you and your loved ones to join us this Sunday for a day of partner massage and yoga. In the Sanctuary at Seeking Indigo, we'll begin our day with partner yoga - an enjoyable and effective way to learn to touch and move your partner, learning to give and receive simultaneously. Partner yoga is highly effective for enhancing flexibility, building strength, and deepening relaxation. Learning to give and receive skilled and caring bodywork can be a powerful tool for enhancing communication through touch. While our emphasis will be on quality of touch - on being present and aware while making contact - we will of course address specific areas of need for each person. In any relationship, learning the art of Esalen Massage and Essential Touch, can be a powerful tool for enhancing communication through touch. You'll be so very glad you came to this program. Bring your spouse, partner, family members, and friends. Call (843) 725-0217 to reserve your spot! Gregg Returns for 2 weeks only! The week of February 16th, Seeking Indigo welcomes Gregg Steinberger back into town for private Thai Massage sessions. Visiting from Asheville, Gregg has just under 20 years experience in traditional Thai Massage and will preview his service at our Feb. 17th sampler, offering private sessions the following week. "Having received Thai massage in Thailand, the USA and all over the world, I can honestly say that Gregg's Thai Massage/Shiatsu work is the most inspired and therapeutic massage that I've experienced anywhere! Gregg is truly a committed, passionate and gifted healer." Thai Massage is a traditional healing art that resembles yoga more so than western "massage." Thai massage is an exchange between the patient and practitioner, and a dance within a treatment - designed to work both the physical body and the energy meridians to bring your body back to life. Thai massage is a medicine. It's not like yoga, it IS yoga! After years of studying under some of the world's greatest living Thai Massage Masters, Gregg has returned to create his own unusual style - a combination of traditional Thai Massage and Macrobiotic Barefoot Shiatsu techniques. The work involves gentle to deep stretches, breath work, organ tonification and advanced point/meridian techniques. Thai Massage/Shiatsu can balance the chi, clear energy blockages, increase flexibility, improve circulation and overall health. Gregg is available February 16th-March 2nd. Get in early while you can! "Open the doors in the center of your chest and let the Spirits fly in and out." We invite you to join us for a journey into the transformative world of touch, in Seeking Indigo's magical world of zen paradise. 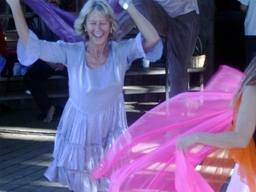 From Jan 21-24, Ellen Watson will host a 3-day introduction to Esalen Massage and the Art of Essential Touch. This class is a stellar opportunity for bodyworkers, as it counts for continuing education credits - but is also appropriate for anyone interested in the healing arts through touch. This is one of the first ever opportunities to experience Esalen outside of Big Sur, California. Join Ellen, senior instructor of the Esalen Art Form and founder of Moving Ventures, a 501c3 dedicated to women's empowerment through the healing arts, in learning how our bodies are made and move. Reserve your spot by calling (843)725-0217 today. Based on the principles of acupuncture and chiropractics, the Seeking Indigo Migun Massage table uses a combination of acupressure and heat therapy along the main energy pathways of the body to relax the muscles, enhance circulation, and restore balance to the body and mind. Moxibustion means the application of heat to certain spots on the body by burning moxa, a dried herb derived from the species mugwort, on the skin. Migun thermal treatment mimics the benefits of acupuncture without the discomfort of inserting a needle into your body. The light and heat energy will do the work of a needle - making Migun a sort of evolved, accessible form of acupuncture. The jade massage heads automatically work the muscles and tendons around the spine, relieving tension and helping energy flows. Massaging the spinal area relaxes hardened nerve roots and improves circulation. The combination of acupressure (finger pressing) benefit and heat will boost your energy level. Using light bulbs and jade caps produces more effective heat and far infrared rays than conventional methods. This blend of modern technology and traditional healing treatment will give you thousands of years of wisdom with the cutting-edge scientific breakthrough of today. Jade contains vital elements for the human body, such as minerals, calcium, magnesium, and water. Jade is knows as a natural transmitter of far infrared rays. To complement the Migun Massage Experience, Seeking Indigo has you lying beneath a sacred Indonesian Joglo, and listening to our state of the art holosynch sound technology. $20 for 30-min massage. Try it today! Elizabeth is the only esthetician in the United States who is trained in this unique technique, taught by world renowned practitioner and instructor Terry Lui from Singapore. Now you too can take advantage of taking years off your face! This is one experience that you won't want to miss! $155 for 60 min. New Treatment at Seeking Indigo!!! In Thai massage, we have the opportunity to be truly present with another to heal our self and awaken healing. Each touch is a chance to listen, an invitation to become aware of the giver, the receiver, and the place where they connect in oneness. Every lean, stretch, palming, rocking, rotation, and acupressure point becomes a doorway to experience love, true healing, and harmony with life. When we practice Thai massage in this way, it is not just a therapeutic remedy, but an invitation to deep, lasting, and limitless realization. Appointments available Wed and Thursday and by appointment - Call 843-725-0217 to book your Thai Massage with Jessica today!